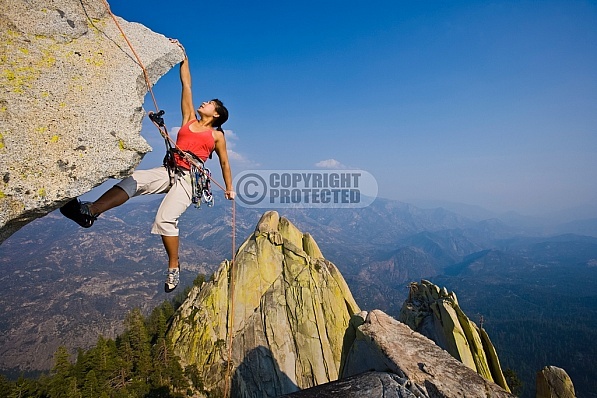 Description: Rappelling past an overhang. Female climber. Women in high places. Girl power. Grace and beauty. Grit and determination. No guts no glory. Believe in yourself. Over the edge. How to rock climb. Nerves of steel. Go big. Reach for the top. Climbing gyms. Life on the edge. Stock photos. Anything is possible.